A new report presented Wednesday aims to reverse an earlier decision to remove four protected electoral districts, while still maintaining fair representation for all voters. 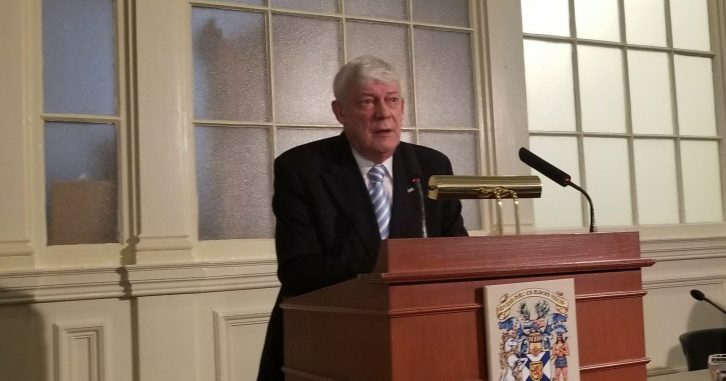 “We wrestled in our deliberations with how to provide effective representation for Acadians and African-Nova Scotians,” said Colin Dodds, chair of the Electoral Boundaries Commission, at a news conference. The commission has chosen to keep four exceptional electoral districts because they represent concentrated populations of Indigenous communities, said Dodds. These exceptional electoral districts are communities that have a smaller population but contain Indigenous populations that have a distinct culture. Before 2012 there were three Acadian and one African-Nova Scotian communities that were protected ridings that could elect a representative from their community. The ridings that were cut in 2012 were Argyle, Clare, Preston and Richmond. The new exceptional districts may not be the same at the 2012 protected ridings, but they aim to equally represent those communities. In a statement, the Fédération acadienne de la Nouvelle-Écosse, which took legal action against the 2012 removal of four protected ridings, welcomed the interim report and thanked the members of the commission for accepting public input. Electoral boundaries are sections of Nova Scotia that each elect a representative to become a member of the legislative assembly. 51 electoral boundaries, a requirement imposed on the Commission when it was formed. 55 electoral boundaries, that include the former protected districts of Argyle, Clare, Richmond and Preston. 55 electoral boundaries, but there would be two MLAs from Inverness and 56 seats in the House of Assembly. 56 total electoral boundaries that include the Acadian community of Chéticamp as a district. He said this is because rural districts would have to increase in size and each rural MLA would represent more communities. A different Electoral Boundaries Commission presented the 2012 report that cut the four minority districts that the current commission aims to restore. FANE took legal action and the Nova Scotia Court of Appeal ruled on its side. The report was determined to have breached section 3 of the Canadian Charter of Rights and Freedoms and possibly denied or limited the rights of Acadian and African-Nova Scotians to have effective governmental representation. As a response to this, the Commission on Effective Electoral Representation of Acadian and African-Nova Scotians, known as the Keefe Commission, was created in April 2017. The Keefe Commission released a report in 2017 on how to effectively represent Acadian and African-Nova Scotians within the government. It recommended that future commissions could make more than 51 districts and that smaller populations could elect their own MLA in exceptional circumstances. The Keefe Commission’s recommendations led to the creation of the current Electoral Boundaries Commission. The Electoral Boundaries Commission is expected to complete its final report by April. Until then, it will consult with communities and determine a final recommendation for a new electoral map.